High Quality Landscape Services has provided exceptional landscaping and landscape maintenance to Dallas area residential and commercial customers for 45 years. 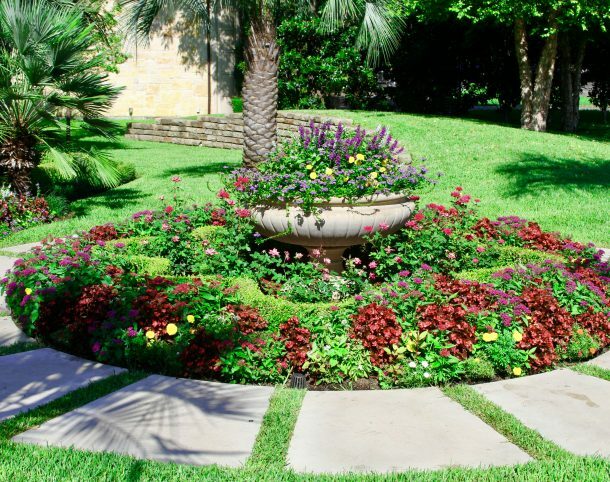 We are one of Dallas’ oldest and most respected landscaping service companies. Customers choose us and stay with us for the high quality of our landscapes and the exceptional service that we provide to our customers. We have landscaped and performed landscape maintenance on some of Dallas’ finest homes and commercial properties. Our customers include home owners, apartment complexes, office complexes, parks, home owners’ associations, educational facilities, cities and governments. We specialize in landscape and lawn maintenance, landscaping and hardscaping projects, irrigation and drainage, fertilization, weed and pest control, and tree pruning and maintenance. We take pride in every one of our projects, and we value every one of our customers. Our landscaping crew are experienced professionals with decades of experience installing and caring for lawns and landscapes. They are uniformed and receive regular training in their craft and in safety. Most importantly, they take great pride in their work, resulting in providing you with a beautiful, lush landscape.